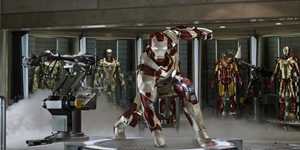 Here is the first trailer for Iron Man 3, the first post-Avengers Marvel film. I must say, it looks much darker and more action packed than the first two, and there doesn’t seem to be as much of a comedic element to this one, at least not based on this trailer. It’ll be interesting to see if there are any cameos by Avengers characters. I’d find it hard to believe they’d see stuff on the news about Stark’s house being blown up and not offer a helping hand. Check out the trailer below after the jump. 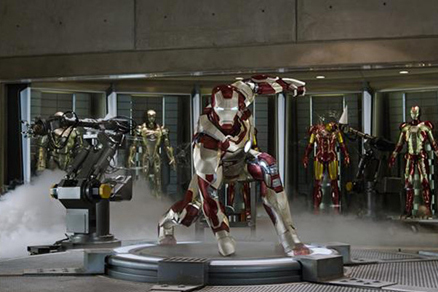 Iron Man 3 opens everywhere May 3, 2013.